Talks are underway to upgrade the busy Mombasa-Nairobi highway into a dual carriageway. The US$2.2bn project is expected to commence next year. According to Peter Mundinia Kenya National Highways Authority (KeNHA) Director-General, the talks with the America’s export-import (Exim) bank for the financing of the multibillion-shilling project is ongoing and expected to close soon. “We expect and hope that we are going to start the construction of this road in the next one year once we complete the talks,” said Peter Mundinia. “This is a major road that requires upgrading to curb the frequent traffic snarl-ups,” he added. However, works have already started at a section of the highway notorious for traffic jams. These sections include the Mombasa-Mariakani section and the Athi River-Machakos turn off along the busy road. The Athi River-Machakos turn-off, a stretch of 20km will cost US$51.2m the project is being constructed by the China Railway 21st Bureau Group Company Limited. The 20km section will be dual carriage and will have two new bridges one measuring 98m for Mombasa bound traffic and another of 50m for traffic headed to Nairobi. However, the Mombasa bound will be the longest bridge along the Northern Corridor. The KeNHA expects the upgrade of the turnoff to be completed in 2018. In the meantime, motorists will pay for the expanded Nairobi–Mombasa road via a toll charge to recoup the construction costs, given that the feasibility study had indicated that the capital used in investment will be recovered in 25 years. 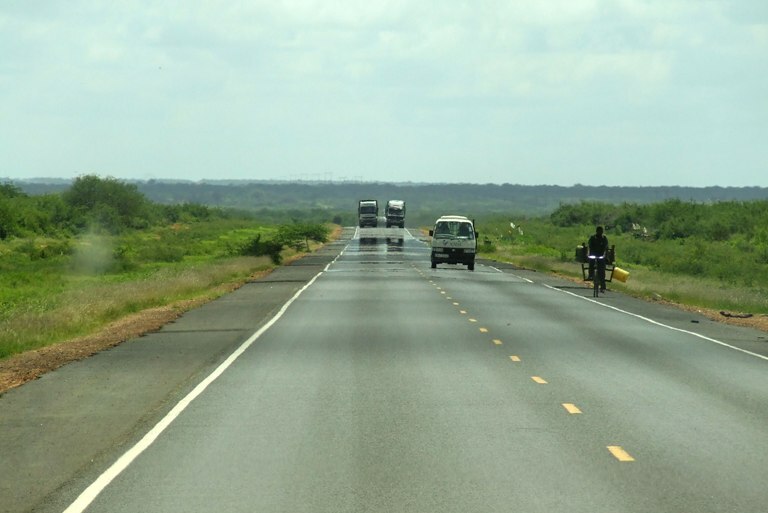 The 485km highway is crucial for trade in the region since it connects the Mombasa port to hinterland markets, including landlocked Uganda, Rwanda and Burundi. But it has remained a single-carriage way for long despite increased use by thousands of buses and trucks ferrying goods and people daily, making it uncompetitive.